Considering a new website or revamp of an existing site? With RAP Trading, you can expect to get a high-quality, high converting website that will exceed your expectations We develop websites that deliver great user experience, advanced functionality, and of course, amazing design. Every website design project has a beginning and we start with our client’s vision. We take the time to fully understand your business and give you all the information of the project. After a conversation we make a couple example designs. You get a personal login code to follow your project step by step. If you desire any changes we can do this directly for you. In this way you are always involved with your project. We work closely with you to develop an online presence that fits your brand, and is also functional and relevant. Do you already have a Joomla or WordPress website, but aren’t happy with either the functionality or design? Or is it out of date, or simply not performing? Whatever the reason, we are here to get you back on track! We can adjust your existing website so that it better suits your business and the image that you want to portray. 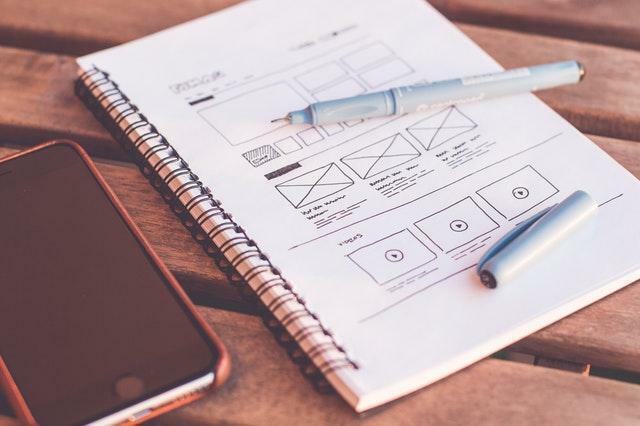 Design is an extremely important aspect of digital marketing, and web design is no longer a one-size-fits-all proposition. With the rise of mobile and tablet browsing it is important that your website design adapts to what device it is being viewed on. All of our websites are responsive (mobile friendly). Whether you are on a tablet or phone device, your website will be visually optimized for any size or shape. Congratulations! Your new website is launched. But we are not done yet…Once the design is completed, we optimize your website to ensure it can be found easily on Google and other search engines. Regular website maintenance is a must if you want your site to be successful! With regular website maintenance your site will run smoothly and secure. Regular visitors are looking for what is new, so provide them with new information, products or features. Unfortunately website are also subject to being hacked. Using a proper website maintenance you can avoid being hacked by keeping everything up to date. When your website is launched we won’t let you down. We provide our support by training and documentation for the maintenance of your website. If you don’t want to go through the website updates by yourself, we can maintain your website under our maintenance service. Time is logged with hourly rates applied – billed as required.